Kansas is a U.S. state located in the Midwestern United States. It is named after the Kansas River which flows through it, which in turn was named after the Kansa Native American tribe, which inhabited the area. The tribe’s name is often said to mean “people of the wind” or “people of the south wind,” although this was probably not the term’s original meaning. Today, Kansas is one of the most productive agricultural states, producing high yields of wheat, sorghum and sunflowers. Kansas is the 15th most extensive and the 33rd most populous of the 50 United States. Kansas requires corporations to have names that can’t be confused with any existing entity name. Company Express will research your company name to make sure it meets Kansas’ standards. Turnaround time: about 4-5 business days. Time to file: Corporations must file annual reports before the 15th day of the fourth month following the close of the tax period. Turnaround time: About 4 -5 business days. 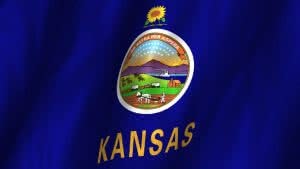 Kansas requires Limited Liability Companies to have names that can’t be confused with any existing entity. Company Express willl research your company name to make sure it meets Kansas’ standards. Required documents: Articles of Organization filed with Secretary of State. Time to file: LLCs must file annual on or before the 15th day of the fourth month following the close of the tax year. Signatures: Only a member may sign reports. Emailed or faxed signatures are accepted.